Uncle, starring Nick Helm, is back and stronger than ever, with a new set of relationship, career and general life problems awaiting the uncle in question, Andy. Admittedly, Uncle is not what it used to be, but that doesn’t mean it is anything less than the comedy it began its life as. Errol (Elliot Spencer-Gillott) has grown up considerably and is now thirteen, so less of the adorably nerdy kid he used to be and more of an awkward and self-conscious teen. Though this has been used by others to criticise, I don’t think the fact that Errol is older lessens the comedic value of the programme, but rather, it moves the sitcom onwards to a new place. In this way, series two of Uncle has shown us that here we have a naturally evolving comedy that doesn’t feel manufactured or forced. 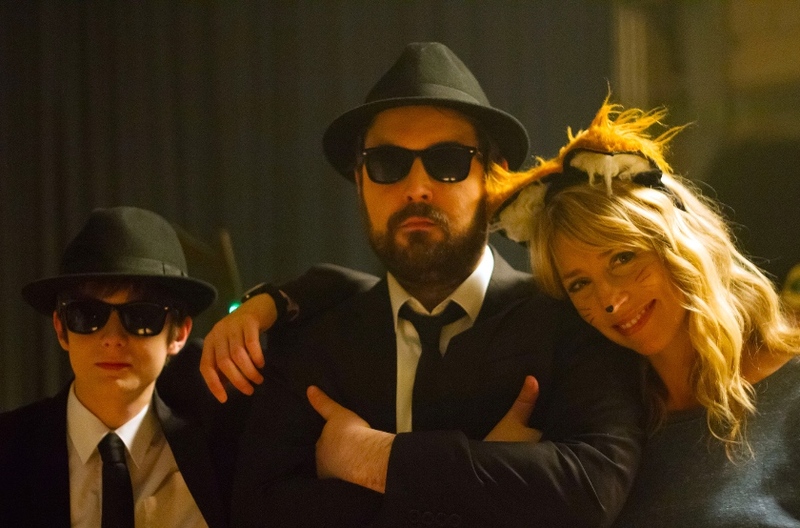 Nick Helm and Esther Smith (Cuckoo) make a wonderful pairing and I’d love to see them create something else together, perhaps a pilot of their iPlayer comedy short, Elephant. In addition, Daisy Haggard plays Errol’s well-meaning but hopelessly self-centred mother which enables an interesting brother-sister dynamic between herself and Andy as well as her slightly dysfunctional mother-son relationship with Errol. The denouement of each episode is usually accompanied by an emotional, and often very funny, ballad which allows Helm himself to bring, in his words, “a little bit of creative input” to the proceedings. These songs are admirable in their own right and showcase this comedian’s undeniable musical talent, providing an interesting interlude from the full narrative. Uncle is an endearing sitcom with likeable characters and a hugely talented cast. It’s a slow-burner, which only increases its impact, making it one of the most enjoyable sitcoms I’ve seen for a while. Before watching the final episode of this series, I would have told you that I couldn’t see much scope for development within a third series, but I have been well and truly swayed. There is still so much space for plot and character relationship growth, and I am excited for the potential of Uncle‘s return. But regardless of whether a third series is made, I rest assured that the stars of this programme will shine through in any further projects they undertake. In particular, I look forward to seeing what future productions Elliot Spencer-Gillott gets involved in as he has shown himself to be a great and exuberant young comedic actor.